With all the sitting we do as a society, virtually anyone who doesn’t already perform a habitual flexibility program (like Yoga or Pilates) has tightness in the muscle group known as the hip flexors. For those interested their names are the Psoas, Iliacus, Iliopsoas, Sartorius and Rectus Femoris. Luckily their names need not be memorized and they can be stretched collectively as a group. When this muscle group gets tight, it pulls the lower back (lumbar spine) forward and causes a shift in body weight distribution to the back of the spine. 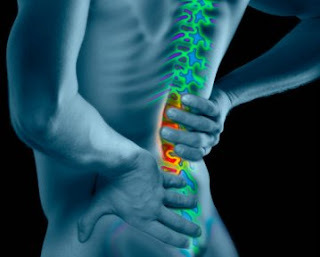 Over time this causes excess wear and tear to the small joints, called facet joints, at the back of the vertebra. The result is lower back pain and, if left long enough wear and tear arthritis (degenerative joint disease or osteoarthritis). The good news is that stretching out the hip flexors can alleviate a lot of lower back pain and reduce your chance of being diagnosed with early onset arthritis of the spine. If you are ambitious enough you can add these two stretches to balance out your 'core' flexibility. If you feel and 'bad pain' or increase in symptoms from these stretches, consult with your Chiropractor immediately to ensure they are appropriate for your condition and that you are doing them properly.